This entry was posted on November 16, 2011 at 11:11 pm and is filed under Teacher Evaluations. You can follow any responses to this entry through the RSS 2.0 feed. You can leave a response, or trackback from your own site. I’ve been doing this for a long time and the thing I look for is student engagement. If the students aren’t engaged, it doesn’t mater how technically sound the lesson is. With all this testing and test prep, I see teachers doing a lot less to get students passionate or excited about anything. it’s sad. While test scores can be part of the process, it only tells a fraction of the story. We do need a system that reward creativity and ingenuity. Unfortunately it’s very hard to quantify and label how it is you do that. However, I have also found that leadership that gives clear direction and empowers teachers to find creative solutions works wonders. In my experience good teachers are unique. There is no way you can apply a cookie cutter evaluation. Good teachers are unique means they are not the same. One teacher may observe another lead a brilliant lesson. On trying to duplicate it that teacher fails miserably. Teachers are not valued by the education authorities for their uniqueness. They are valued by their conformity and compliance which promotes mediocrity. 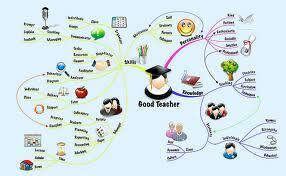 Furthermore good teachers are enabled by good management. I recall one principal in a school of 19 teachers having placed 12 teachers on improvement programs. The problem was not the teachers. The problem was the management.